Whether it’s a K-12 school, college/university, or corporate campus, facilities like these often have high levels of bike traffic that need numerous bike parking solutions. Employees, students, and visitors need short-term and long-term parking to be accessible to them. Many places even incentivize bicycling to encourage healthy lifestyles and decrease the burden of expensive car parking. The benefits of biking are clear – moving commuters out of their cars and into active modes of transportation like biking means less traffic congestion, lower costs for building and maintaining car parking, and improved health of students and staff (which means lower health care costs too). Without adequate support for biking as a means of transportation, commuters will simply choose to ride to work or school on four wheels instead of two. Below are some areas Dero can help you bolster your biking infrastructure. If you build it, they will come. Bikes need not be left out in the cold. Converting an under-used storage space into a bike parking room makes bicyclists feel right at home. Or go above and beyond, like the University of Minnesota which has a full service bike center, providing showers, secure bike parking, and bike shop to its faculty and students. An air pump and basic tools are simple amenities that can turn a bad break into a lucky day. Students and employees will appreciate knowing that you’ve got their back. Including your logo in a bike rack helps to brand your facility and show everyone you support biking. It’s also a chance to show your school colors and spirit! Incentive programs can encourage commuters to use active transportation to get to your campus. Some existing programs offer cash incentives, prizes, or discounts on health insurance premiums. 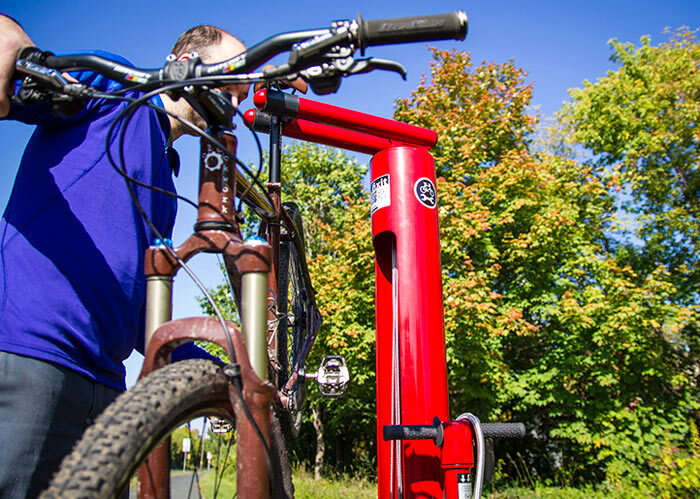 Dero offers Dero ZAP, an easy, automatic bike commuting system. 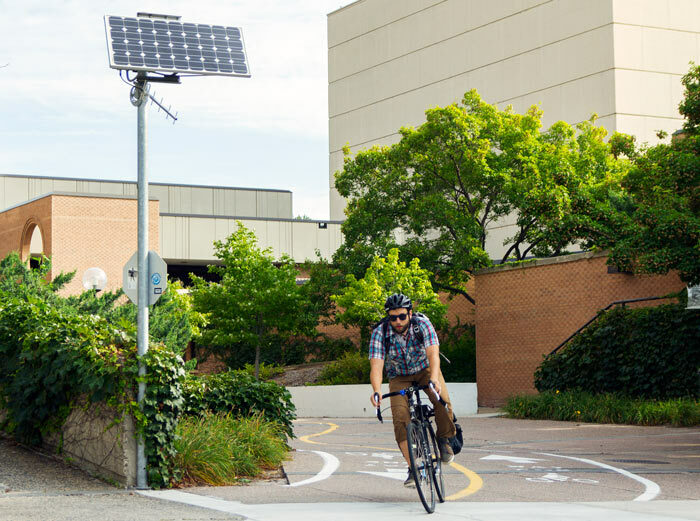 Dero ZAP is an automated hardware and software solution that gives you the most reliable way to manage and grow your bike commuting program. 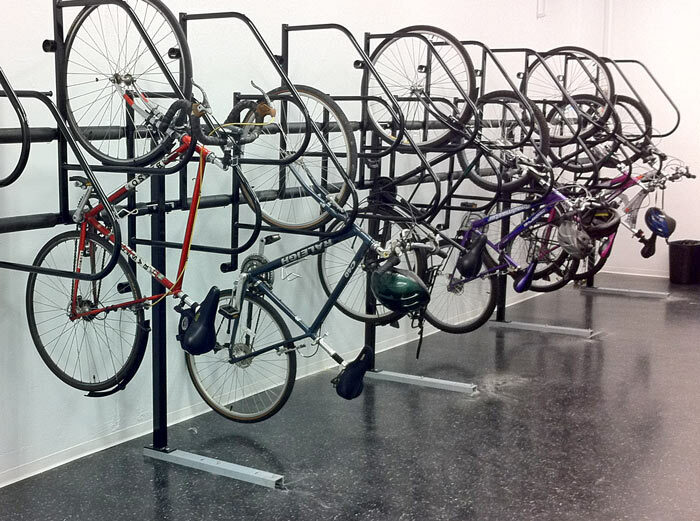 View our Bike Parking Guide for more detailed best practices.